Modern civilization is not able to exist without rubber goods, and only used rubber, in particular tyres, we seem to be iniquity. Meanwhile, rubber products can also be very useful to humanity as a source of energy. 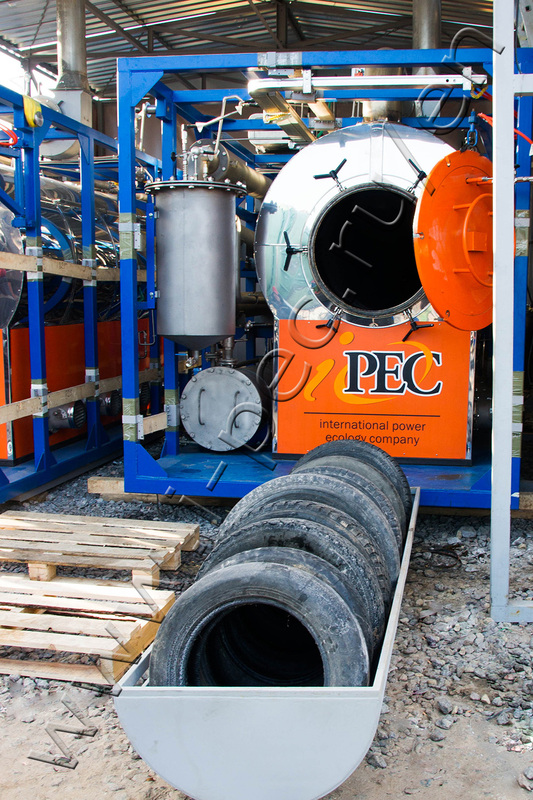 The tire laid in a landfill is decomposed in a natural environment more than 100 years. Contact of the tire with water leads to toxic organic compounds leaching into the soil. There are two basic ways of rubber recycling: mechanical and thermal. The intended use of mechanical processes is rubber crumb or the product that does not differ dramatically from the feedstock in chemical properties. The aim of thermal treatment technologies is the use of energy potential of rubber goods. By the standards of the US one tire is equivalent to 7 gallons of oil. Mechanical techniques of rubber processing into crumb are quite promising. They provide the product, which is widely demanded in the market, practically without any additional treatment. However, electromechanical technology has several disadvantages, the first of which is energy consumption. 1 m for crushed tyres requires from 500 to 900 kW of power. Furthermore, the coefficient of net operating time is small, no more than 50-60% (in view of high equipment amortization). A quick breakdown of the cutting equipment and the replacement of expensive knives (as required hardness of tool steel), together with low productivity results in very high cost of crumb rubber. Thus, the interest in the rubber treatment increasingly focuses on the technology of thermal destruction or pyrolysis, releasing the energy potential of rubber products.